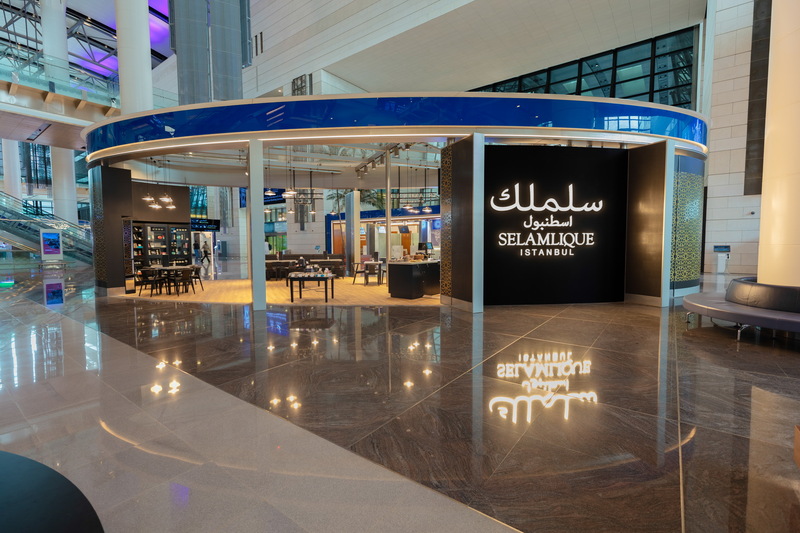 Shop, dine or unwind in any of the lounges, restaurants, and retail outlets available in Muscat Airport. Whether buying last minute souvenirs for loved ones, or picking up a bargain from your favourite brand, our duty free shops have you covered. Need to recharge and refuel? 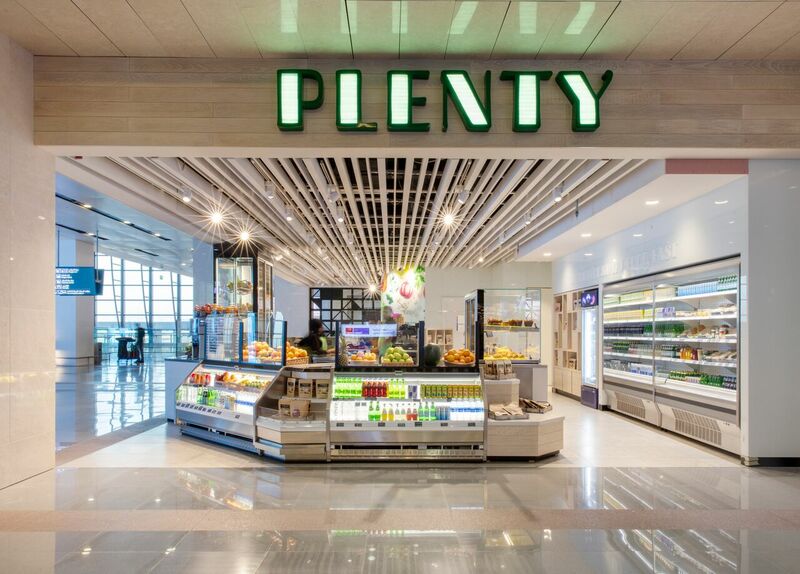 Indulge your tastebuds in a meal or snack from one of the tantalizing array of restaurants and cafes available in arrivals and departures. Cakes&Bakes offers a wide range of baked goods and an extensive selection of tempting cakes and desserts. Choose from fresh pasta, pizzas, local and international pastries and a varity of delicious meat and vegetarian sandwiches. Looking for a sugar hit? Then Mazoon is the place to be. Housed in a stylish and elegant oasis courtyard, Mazoon offers a varity of freshly prepared Italian style ice creams, gourmet coffees and dessert items. If you have a sweet tooth, then a visit to Mazoon is highly recommended. For the rich flavours of the latin kitchen head to LUNA. 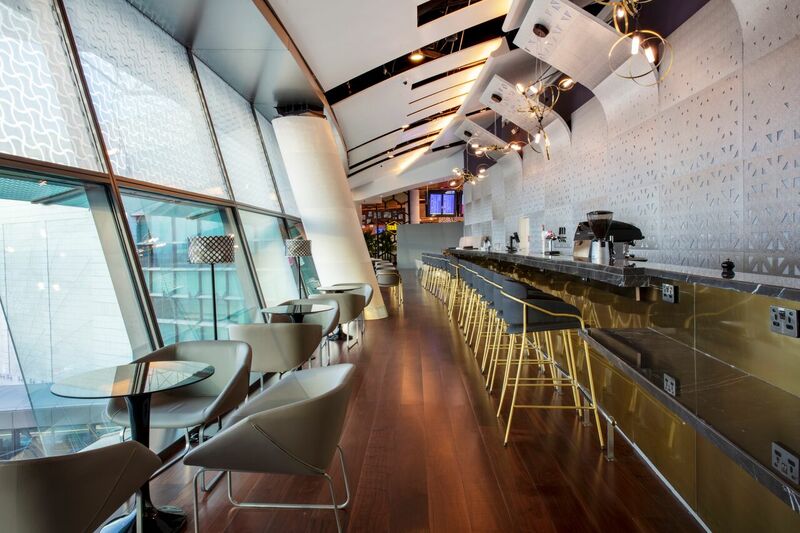 Their artfully created tapas menu and bespoke cocktails provide the perfect flavor hit. With dishes designed for sharing, LUNA is the perfect restaurant for friends and family traveling together to sample food from southern Europe, Central and South America. Café Nero is a European coffee house brand specializing in high quality Italian coffee. Alongside hot beverages, Caffè Nero also sells a selection of fresh artisanal sandwiches and salads with flavourful ingredients sourced from across the globe, as well as a variety of cold drinks. 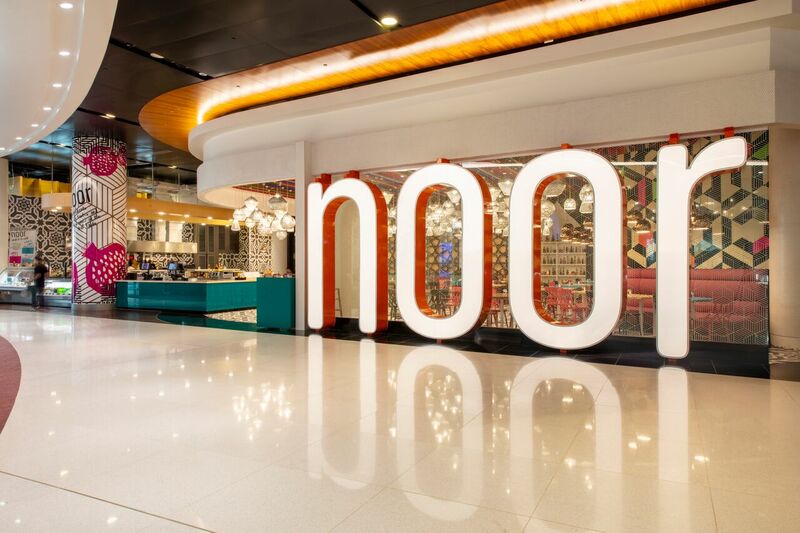 For a true taste of the Levant, visit Noor, serving high quality, healthy and authentic Lebanese food. Indulge in their selection of sumptuous hot and cold mezze , shawarma, freshly grilled meats and tender kebabs. If you are travelling with children then a visit to the unique Sea Side Park is a must. Sea Side Park is a fun play area where visitors can experience sandy coasts and grassy dunes all within the comfort of Muscat International Airport. Hungry after playtime? 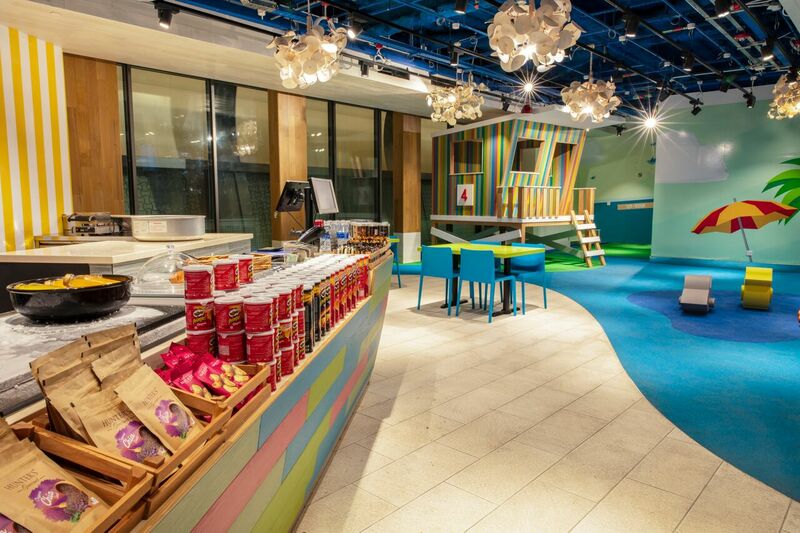 Kids can enjoy tasty treats incuding popcorn, candy floss, fresh fruit juices and and sandwiches from the variety on offer, whilst mom and dad put their feet up. 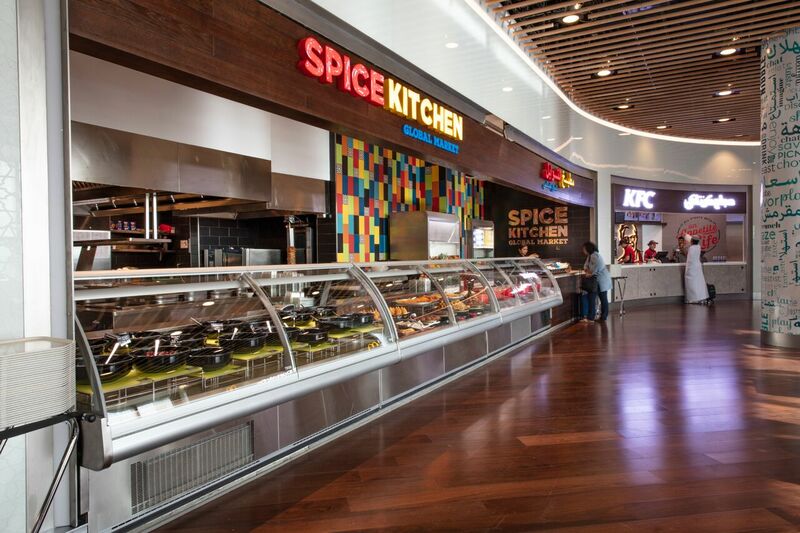 This walk-through food court concept offers a variety of delicious Indian, Asian and Mediterranean street food items cooked with authentic flavors and healthy ingredients. Enjoy global flavours and tuck into delectable, tender tikkas and crunchy samosas from India, Chinese crepes and delicate spring rolls from Asia or mouthwatering kebabs, pasta and pizzas from the mediterrean. 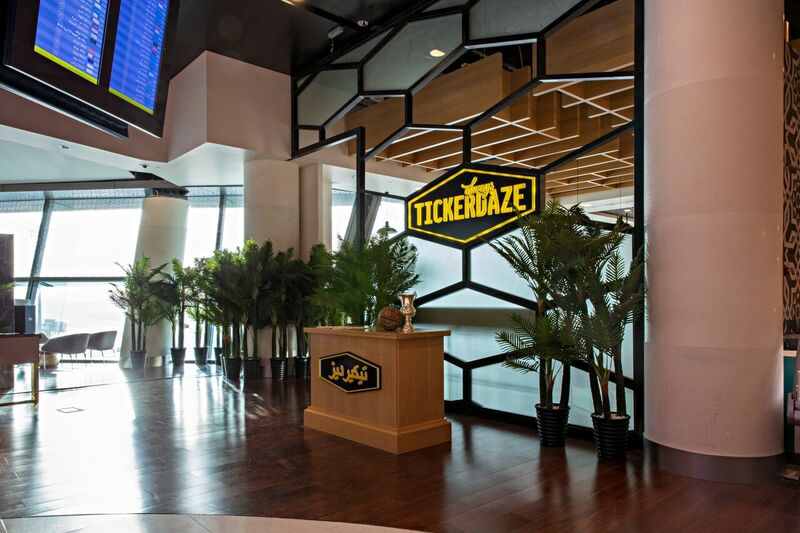 Tickerdaze is a gastro sports bar offering a wide range of world renowned premium beers, carefully curated cocktails and shots. Feeling peckish? TICKERDAZE also offers an extensive menu of freshly cooked pub grub including chicken wings, burgers, pizzas and salad to enjoy whilst you watch the game. Khawaji Café is a celebration of the historical association of Oman with coffee. 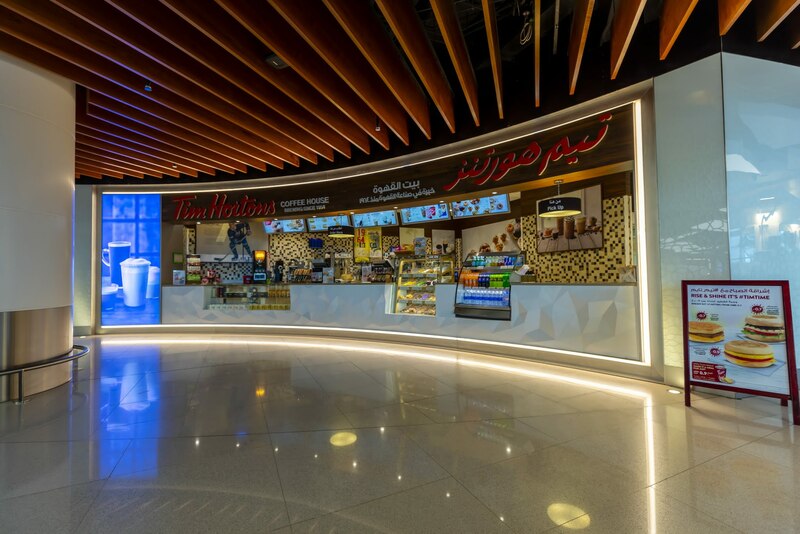 Fittingly, the café serves a variety of modern and classic coffees to provide you a genuine taste of the Sultanate’s favorite brews. 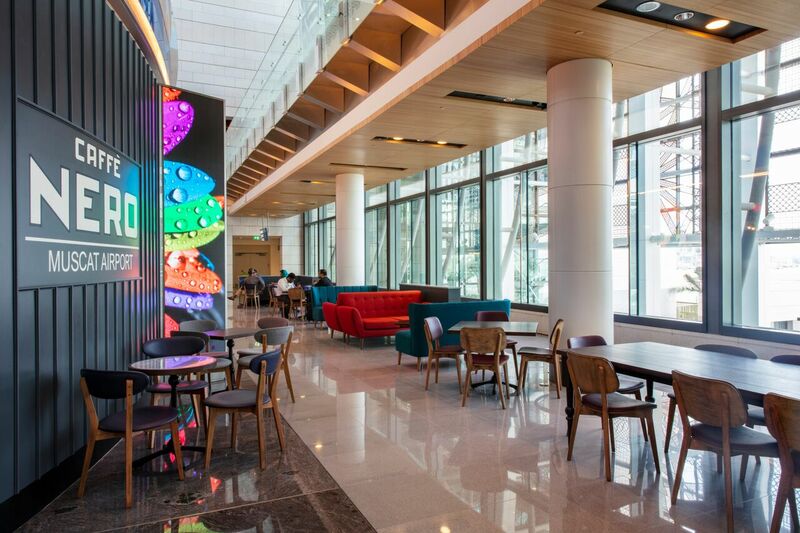 The café also offers a wide range of Arabic food, sandwiches and fresh pastries as accompniament. American chain specializing in fried chicken. Take your pick from signature combo meals, family buckets, great tasting chicken burgers in original or spicy flavor and select from salads fries and sweet treats on the side. If you’re looking for a satisfying meal that’s big on flavor, head over to KFC and get your chicken fix. 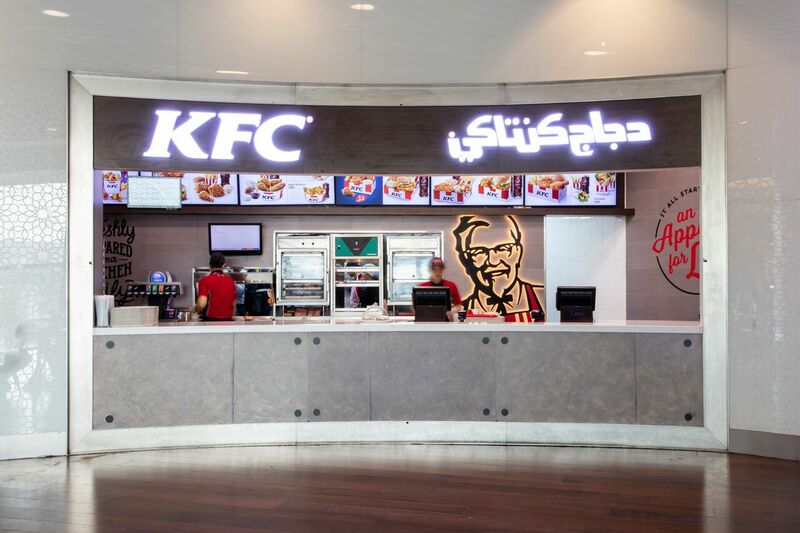 Grab a great value meal from this ubiquitous fast food chain as you transit through Muscat International. Enjoy a delicious start to your day with breakfast options available from 4 till 11am, or wait for one of their signature burgers such as the Big Mac to get on the grill and satisfy your taste buds from 11am onwards. Sophisticated tastebuds should also keep an eye out for their gourmet selection of premium burgers, salads, and McCafé menu items. 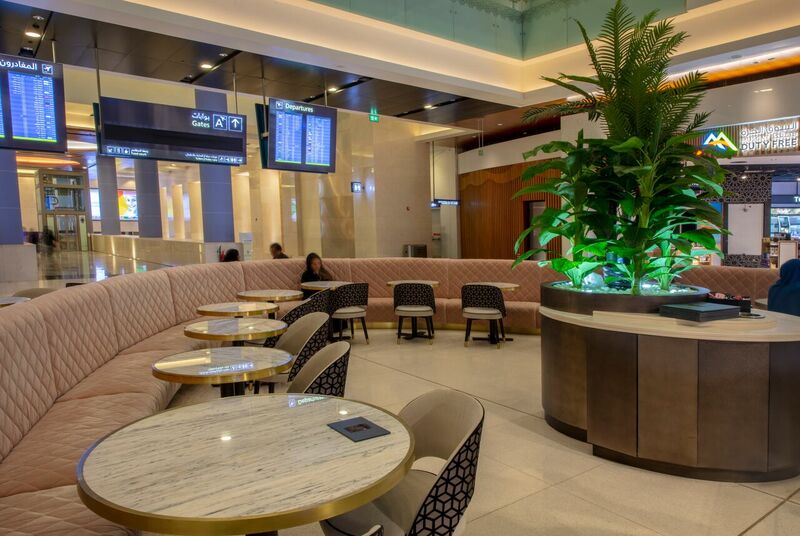 Come together with your fellow passengers in a relaxed and comfortable setting at Traveler’s Club Café. Grab and go fresh tasty sandwiches, salads, and baked goods or sample from their high quality range of globally sourced specialty coffees. Coffee addict? visit Caribou Coffee for a handcrafted, flavourfulselection sure to give you the caffeine fix you need. 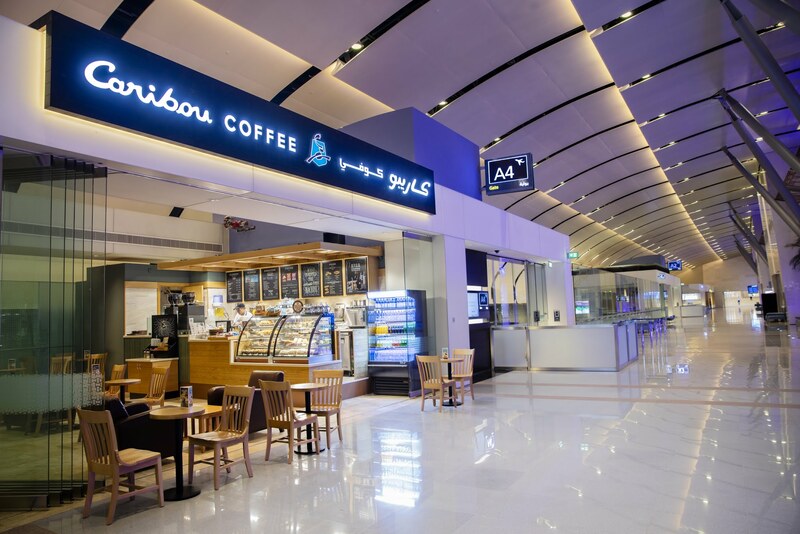 With coffee brewed with delicious Arabica beans and a wide menu of other hot and cold beverages, snack and sandwich items on offer, Caribou Coffee is a good choice for a drink or quick bite whilst you transit.